Enjoy a 5 % discount by booking through our website. 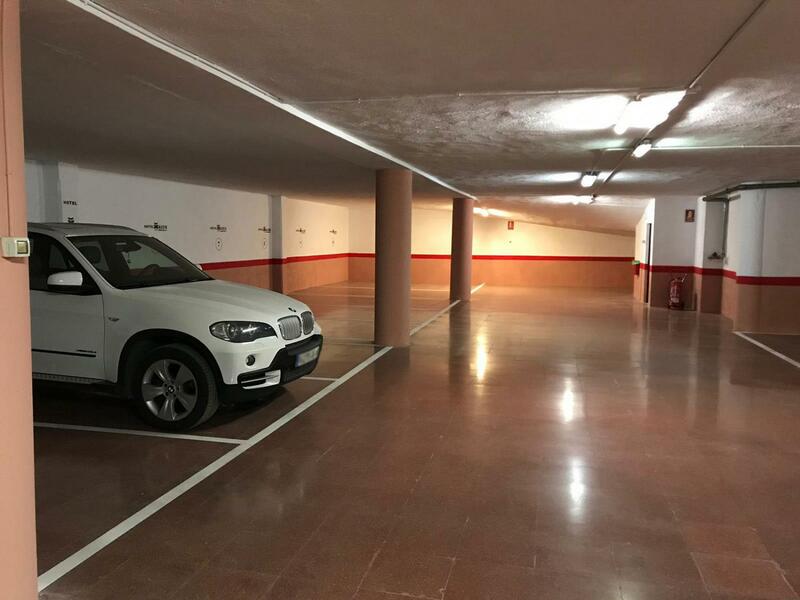 New private parking, wide, without ramps and in front of the hotel. The Hotel Xauen, in the center of Jaén. NEW!! Private parking spacious and convenient. We explain how to get here by car, check our Contact and map section. Any questions, call 953.240.789. Constitución square and the Palace of the Vilches. It is a comfortable and unique hotel, for it is the only one located in the heart of Jaén , where you can enjoy tranquility or the bustle of the city. From the hotel you can start your tour of this great city, discovering the beautiful street and squares and finding restaurants and traditional taverns where you can taste the typical "tapas". The solarium of the Hotel Xauen, equipped with sun loungers and an outdoor shower, offers fantastic views of the city and the Cathedral. Thanks to the spectacular and the peculiar beauty of these views, the hotel has already attracted several national and international television channels, turning this place on an intimate, romantic and cozy outdoors TV set. The Hotel Xauen is constantly changing since 1969, offering our clients all of the advantages based on our experience, our well trained staff and the use of noble and welcoming materials. Here you will find a very attentive staff and an ideal place to work comfortably, but also to rest and relax. Everything is possible at this unique hotel. At the Hotel Xauen we are commited with offering quality services and personalized attention. We are the closest hotel to the cathedral and from our viewpoint you can contemplate amazing views of the city. Enjoy Jaén, its traditions and people from the only hotel located in the heart of the city. Organize your events in a welcoming, intimate and select environment.